By London Trust Media, Inc. Developer: London Trust Media, Inc. 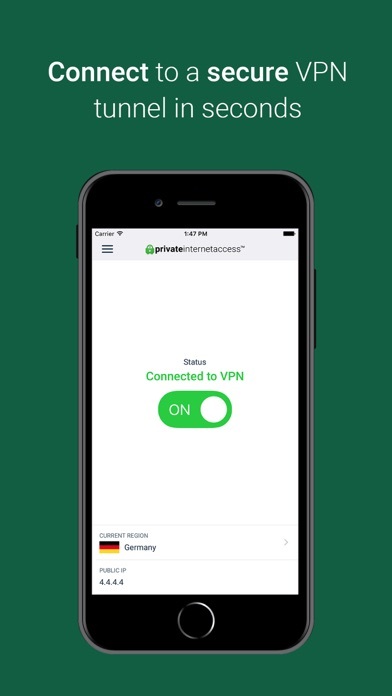 Private Internet Access VPN Protect your privacy with Private Internet Access®, the world's leading VPN service for iOS users on iPhone and iPad. Private Internet Access®, or PIA, enables users to encrypt their network traffic and stay protected when online with our proxy servers. 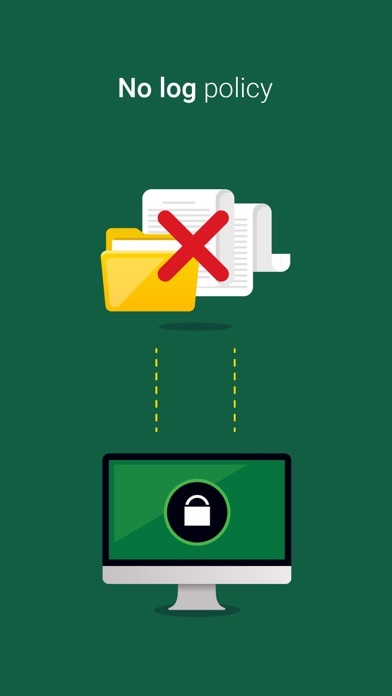 Add privacy and security to private and public networks when you browse the Internet and use WiFi, whether connected to a hotspot or at home. High speeds, unlimited bandwidth, connect with 5 devices simultaneously (smartphones, tablets, computers), no traffic logs, and 24/7 professional, native English speaking customer support. WHY USE VPN FROM PRIVATE INTERNET ACCESS®? • Low price. $3.33 per month if you purchase a yearly account ($39.99/year) or $6.99 on a monthly basis. • Reliable and trusted VPN provider since 2010 with a proven no log policy. • Privacy is our Policy. Here at PIA, we not only provide a great VPN service at a low price, but we also support organizations like the Electronic Frontier Foundation, FightForTheFuture, Creative Commons, Open Rights Group, Index on Censorship, freenode, Wireguard, Arch Linux, and many others. We respect your privacy and anonymity. BY USING VPN FROM PRIVATE INTERNET ACCESS®, YOU GET: • IP Cloaking. Your IP address will be changed to a Private Internet Access IP address to hide your identity and location. Hide your IP address to stop data trackers, snoopers, and hackers from tracking your browsing and search activity. • Data Encryption. Encrypt your internet traffic with our VPN proxy. Our trusted online privacy service creates several security layers which keep you anonymous and prevent access to your data. It’s time to change your WiFi habits. Don’t use WiFi without our secure VPN to proxy your internet traffic! WiFi Security. With WPA and WPA2 now kracked, you need a VPN to protect your WiFi everywhere - not just in hotspots, coffee shops, cafes, hotels, and airports. If you use WiFi hotspots without encryption, your data can be seen, blocked, throttled, censored, or otherwise changed. 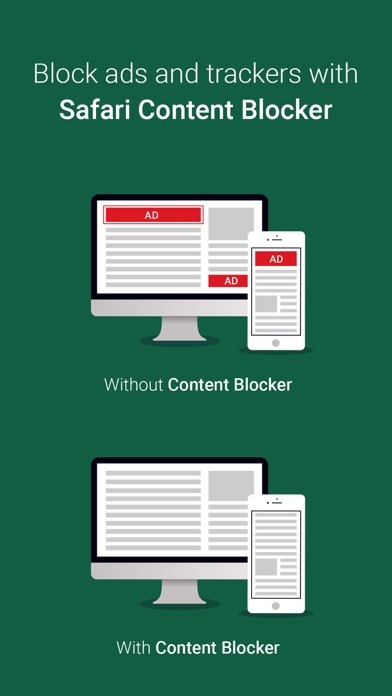 • Content Blocker. The Safari Content Blocker blocks ads, trackers, and malware while browsing with Safari. WHAT DO OUR CUSTOMERS THINK? “Firstly, the company is second to none in terms of support, troubleshooting, and individualized assistance. Their nodes and hubs are top speed. 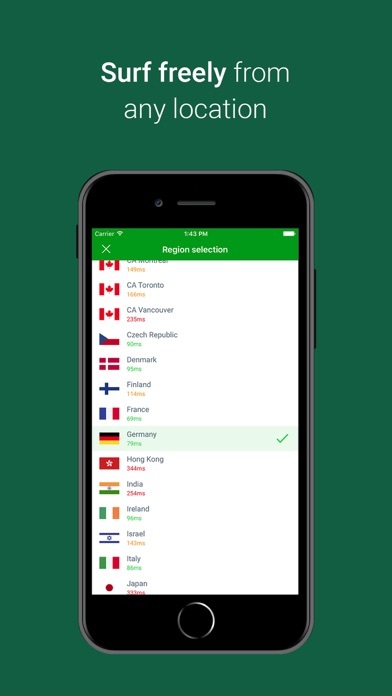 Their client is streamlined and has a tremendous ease of use.” JAYDLUV, 10/10/2017 “This is my go to app for VPN. Been using Windows version for years and the iPad version is great.” Pkcarreon, 09/18/2017 “No hiccups, no crashes or anything. It just works great. Bear in mind you have to subscribe to the service for this to work. I highly recommend it.” Scott Loflin, 09/15/2017 “Simple and solid. No issues even when traveling.” Joe1134206, 09/8/2017 “Love it. Feel safer when browsing the internet.” Cachuco, 08/7/2017 “Hard to find a nit with this app. (...) The iOS app allows a quicker toggle on/off than digging into settings, for VPN hostile iOS apps like Pandora and Netflix. I like PIA’s value for the money, and I have not had any trouble whatsoever with the iOS app. I recommend this app, and PIA, as one of your layers of online security.” DB Associates, 01/27/2017 “I did my homework, reviewing many VPN services. PIA was among the most economical, plenty of simultaneous connections and more than enough servers and services. (...) The speed is more than I hoped for. I can stream all YouTube videos. HD quality is superb with no buffering. I am happy to have this extra security on all our devices. My wife could not tell the difference after I installed it on her PC. I think I paid $39.99/year. What a bargain!” Helmut, 06/20/2016 GDPR compatibility This application only sends username and encrypted passwords to our servers as part of using this app. During signups, we also collect user's email. We do not collect and/or store any other user information. Used to work fine, turn on vpn and it stays connected. Now it’s randomly disconnecting, defeats the purpose if I have to check if vpn is still on. This VPN app is one of the better ones and is very affordable. PIA used to work well. PIA used to work well until a recent update. Now the VPN disconnects without engaging the kill switch. This app was great but 3 years later, I still find it extremely difficult to setup the VPN on my Nvidia Shield & Uverse routers. Since the update, I have also found that the VPN auto drops more than it connects. Please fix this. I just made the switch from android and I am so disappointed in this app on iOS. As stated in other reviews I’m having all kinds of connection issues. It will randomly disconnect throughout the day while on WiFi. If I leave a WiFi connection and come back in range my phone won’t connect until I disconnect the VPN. Then when I reconnect the VPN the phone will go back to LTE. I will have to turn airplane mode on and off to stop this cycle. I pay for this service to protect my data but I can’t trust that I will have a connection. Very disappointing as I had no issues on android. Simple and easy to set up due to the great app. Works well on my Mac as well. Since installing on my phone though the app has become the largest drain on my battery. The PIA team needs to look into this and why on earth a VPN app needs this much background activity. Draws into question just what exactly is this doing in the background???? Latest update seems to drop VPN connection whenever I leave wifi. On top of that, when I go to reconnect using the 3D Touch menu, it doesn't seem to know it's disconnected and only offers the Disconnect option. Please fix this issue. I don't want the app trying to guess when I need VPN service. It should stay on until I turn it off. Update: the beta seems better. Will edit further once it's publicly available. More by London Trust Media, Inc.